Why is the edge of a water nut sharp, sharper than an awl? I don't want that sharpness, not the water-nut, not the awl. Not true. Nothing. When traditional Buddhism China history cut its ancient Indian roots in the 10th century the new Chan or Zen Buddhism urgently needed a new history. A jigsaw of fictional Zen stories did the trick. Well-known fairy tales, legends and sayings were used and changed to tell about the "Transmission of the Lamp". These stories are about the behaviour of early masters when they passed enlightenment to their students. But, more importantly, Zen stories illustrated the essentials of Chan or Zen, the new version of Chinese Buddhism history. Zen Riddle - find a reply! Chinese connection with the Buddha. The cutting of Indian roots. Zen rejection of magical beliefs. Zen masters' strange ways of teaching enlightenment. Disapproval of the holy scriptures of Buddhism. Equality of the Zen way with Confucian studies. Submission of Zen Buddhism to the ruler. The following examples are shortened versions of "Transmission of the Lamp" stories, so called koan (Zen Riddles). When Shakyamuni Buddha was at Vulture Peak, he held out a flower to his listeners. Everyone was silent. Only Mahakashyapa broke into a broad smile. "I have the True Dharma Eye, the Marvellous Mind of Nirvana, the True Form of the Formless, and the Subtle Dharma Gate, independent of words and transmitted beyond doctrine. This I have entrusted to Mahakashyapa." "Gautama insolently insults noble people. He sells dog meat labelled as mutton and thinks it commendable." The historical Buddha as he's described in the history of the Buddha had no successor. But for 10th century Buddhism China history the Buddha needed a successor. This Chinese Buddha was therefore given a chain of succession, a lineage, that finally "arrived" in Song China. In addition, the newly created Buddha proclaimed a form of enlightenment the Indian Buddha never knew about. The 12th century Wu-Men still knew that this message "insults noble people" of his time, the Confucian elite. The next story about the second transmission of the lineage, despite its Indian setting, has again close links to the Chinese concept of Zen. Ananda asked Kashyapa in all earnestness, "The World-Honoured One once transmitted the brocade robe to you. What else did he transmit to you? " Kashyapa said, "Knock down the flagpole at the gate." Buddha transmitted enlightenment to Kashyapa, that entitled him to wear the brocade robe of a Chinese government official. But what did Ananda have in mind when he asked about some other transmission? An old story from Buddhism Chinese history about a monkey with magical power gives a clue. 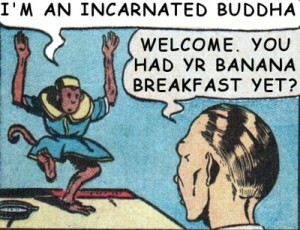 "Monkey rolled down the mountain and when he was out of sight he turned himself into a wayside shrine: his wide open mouth was the door-opening, his teeth he turned into door flaps, his tongue into the guardian Bodhisattva. He didn't quite know what to do with his tail, but sticking up straight behind it looked like a flagpole. When master Erh-lang (otherwise unknown in Buddhism China history) arrived at the bottom of the slope, he expected to find monkey he had toppled over, but instead he found only a small shrine. "That's Monkey that is! He's trying his tricks on me again. I have seen many shrines but never one with a flagpole sticking up behind." 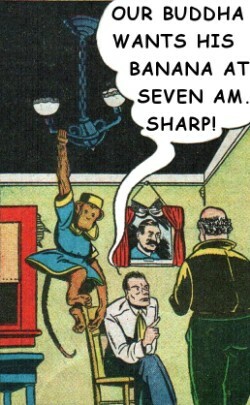 The flagpole revealed monkey's magical power. 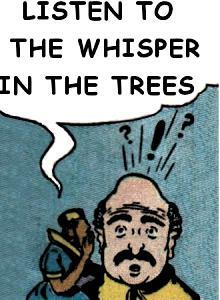 But Zen insisted that the Buddha's magical power that Ananda asked about wasn't transmitted to China. 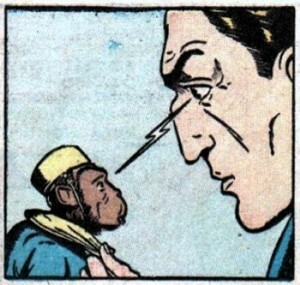 To prove it Kashyapa knocked down the flagpole, magic-monkey's tail. Even though someone sitting on the top of a hundred-foot pole has entered enlightenment, it is not yet real. He must step forward from the top of the pole and manifest his whole body throughout the world in ten directions. It's a well known ascetic practice of yogis in the ancient history of India to sit throughout life on a small platform on top of a pole, hoping to enter nirvana one day. The pole is not too high, so that the yogi's devotees can hand him up food and water. Buddhism China history no longer had room for these archaic Indian practices. Zen had to clearly express its distance. How? 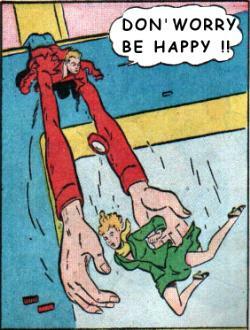 The story satirically exaggerates the yogic practice! ...sitting up there brings no real enlightenment. That needs the yogi to step forward ... and break his neck. Zen's 9th century grand-grand-grand-father Master Shih-Shuang attacked Indian practices "throughout the world in ten directions", the story tells. "Huang Ti made a hundred chariots. If he took off both wheels and removed the axle, what would he make clear about the chariots?" Huang Ti, the so called Yellow Emperor, a pre-dynastic Chinese ruler, was credited with important technical innovations like the compass, the potters' wheel and the chariot wheel. Actually the horse driven chariot, the most dangerous weapon of ancient times, wasn't invented in China but came from inner Asia, where horses had first been domesticated. When Huang Ti took off the wheels and the axles of a chariot, so the story goes, he converted a weapon into a wooden box. The change to a mythological story from pre-dynastic times, expressed the goal of peacefulness in the history of Buddhism. A monk asked Master Dongshan: "So, what is Buddha?" Dongshan said: "Three pounds of flax." without holy scriptures, words or letters. The linen made out of three pounds of flax is just enough to tailor a monk's robe. In India, Buddhist monks imitated the Buddha. They hardly wore clothes, begged for alms and got what they needed from devotees. In Buddhism China history monks very often got their robes from the government. The roaming forest-dwelling bands of half naked believers in Buddha had changed into government supported Zen students wearing neatly tailored linen robes. But they still called themselves Buddhists. There's more information about Buddhism China here. The Indian history of Buddha could hold additional information for you as well. 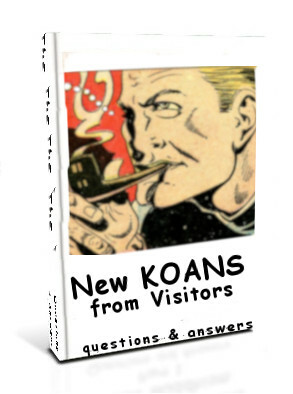 Zen koan stories are also called Zen Riddles. There you find more stories, and information about how these stories are understood in today's Zen. Finally a very short story, which confirms that the traditional history of Buddhism, despite all its links to ancient India history, was totally transformed in Zen Buddhism China history. Master Huoan says: The western barbarian has no beard? Master Huoan lived in 12th century at the end of the Song Dynasty. In China (as in other civilisations) all foreigners were labelled Barbarians and imagined as wild and uncivilised people, unshaven, with no manners or knowledge. The western barbarians from India, the Buddha and all the monks of his tradition, have finally been shaved, master Huoan says, and now look like Chinese. Huoan's short Zen saying comes immediately to the point: Buddhism China history is not about a foreign religion any more.